A classic dish, which is often found in Chinese restaurants and takeaways. This fried Cuttlefish is crispy on the outside and super tender on the inside. That is the nature of the Knorr Coating Mix applications. Follow the recipe below! 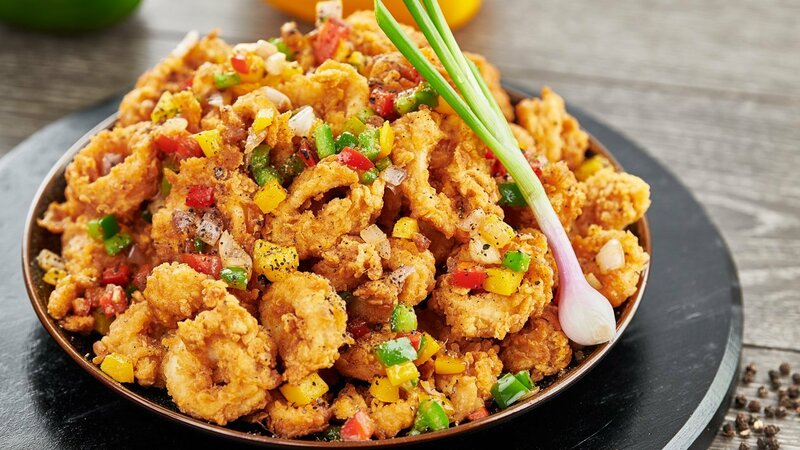 Mix Cuttlefish, water, salt and ½ pepper together and marinade for one hour and more in a refrigerator. Mix Knorr Coating Mix - Coating Base Powder (120g) and wheat flour together and sieved twice to a tray. Coat the marinated Cuttlefish in above dry flour mix and fold it for few seconds. Then shake off any excess flour and dip the Cuttlefish pieces in cold water for ten seconds and strain. Again, coat the Cuttlefish in dry flour mix and fold for another few seconds till the texture becomes flaky and fry till golden brown in pre-heated oil at 180℃. Sprinkled the remaining pepper and toss well; served with your choice of Dips.